The traditions of men make void the WORD of GOD. You go to church every week. You're saved by the blood of Jesus. I don't question that. You love GOD; You live for Him. You talk about knowing GOD and knowing His WORD. You understand that Jesus CHRIST is the Living WORD, that He's clothed in a vesture dipped in blood, and His Name is called the WORD of GOD. That In the Beginning was the WORD, and the WORD was with GOD, and the WORD was GOD. The blood on CHRIST's vesture represents His death on the cross and the blood of the righteous saints, who were slained for His sake. There will be a day vengeance, when all things will be made right. Organized religion teaches you that Adam and Eve were the first humans created by GOD. Well, that's interesting, because I see more than one race of humans on the Earth. The traditions of men also teach you that Adam and Eve sinned by eating literal fruit off a tree. It's what you've been taught and you've never questioned it. You'll even defend it and mock your Christian brothers and sisters for teaching the Truth. The folks that call evil good, and good evil, mistake a serpent for a fish and a false stone for bread. Matthew 7:9 "Or what man is there of you, whom if his son ask bread, will he give him a stone?" Matthew 7:10 "Or if he ask a fish, will he give him a serpent?" You say that you're not conformed to the ways of this world, that you're awake and you see truth. I'd like to pose a few questions and I'd like for you to really think them over. 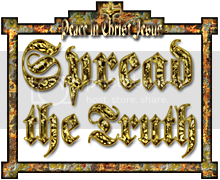 If you seek our FATHER's truths as for hidden treasures, then He'll feed you with Truth. The Adamic seedline (Adam and Eve thru Seth; Genesis 5) is the lineage from which would come the Messiah, the Anointed One, Jesus Christ. The other seedline (Cain and wife thru Enoch; Genesis 4) belongs to the serpent, or satan, and his offspring are known as the children of Cain (from the sexual union between satan and Eve), or the kenites. Genealogies in the Bible are accurate and detailed, which is why Adam's genealogy is listed separately from that of Cain. The occult's obsession with "false" duality and the number "11" start from the real "sin" in the Garden of Eden. The original wheat and tare grew up together as twins - Abel and Cain. Now let's go back to the "Origin" or "The Beginning" in the Book of Genesis (from the Greek γένεσις, meaning "origin"; in Hebrew: בְּרֵאשִׁית‎ (Bərēšīṯ) "In [the] Beginning"). If you understand the Sixth Day creation of all of the races, you'll understand that there was more than one man and woman on Earth, when Adam and Eve were created. If you remember, Cain went to Nod and married a woman from the Sixth Day creation. Now how could that happen if Adam and Eve were the first and only couple on the planet, at that time? (checkout the Lion King series, parts 3, 4, 5, 6, 7, 8). So how did your pastor miss the hunters and gatherers created by GOD on the Sixth Day (Gen 1:26-31)? Did not GOD want a man (farmer) to till the ground on the Eighth Day (Gen 2:1-5)? When Cain was expelled from the Garden of Eden by GOD, he went to the land of Nod and got married. Now if all human life, at the time, was isolated in Eden, where did this woman come from? Genesis 4:12-13 "When thou [Cain] tillest the ground, it shall not henceforth yield unto thee her strength; a fugitive and a vagabond shalt thou be in the earth. And Cain said unto the LORD, my punishment is greater than I can bear." Genesis 4:14 "Behold, Thou hast driven me out this day from the face of the earth; and from Thy face shall I be hid; and I shall be a fugitive and a vagabond in the earth; and it shall come to pass, that every one that findeth me shall slay me." Genesis 4:16 "And Cain went out from the presence of the LORD, and dwelt in the land of Nod, on the east of Eden." The LORD GOD cast Cain out of the Garden of Eden for murdering Abel. He cursed Cain so that when he tilled the ground, it would not produce or yield forth her fruit. Cain was to be a fugitive and a vagabond in the earth, meaning he did not have a true homeland or nation. Also, if there was not a Sixth Day creation, why would Cain fear being killed by other men? Where did these men come from? Certainly not from Adam and Eve. Cain then moved to the land of "Nod", which means "exile" or "wandering". Eventually, Cain became a builder of cities and applied his knowledge in farming (Gen 4:2) to set up agriculture, through the use of slaves or laborers. Without the application of agricultural science, great cities and civilizations would not have been sustainable. Cain is also credited as the author of measurements and weights. Unto this day, the descendants of Cain are still the masters over many forms of slavery, trade, banking and usury. Cain married a woman after dwelling in the land of Nod (Genesis 4:16-17), so the woman obviously didn't come from Adam and Eve. She was of the Sixth Day creation. Also, if there was not a Sixth Day creation, why would Cain fear being killed by other men? Where did these men come from? Certainly not from Adam and Eve. What the church system of men teaches you is very watered down doctrine, laced with indoctrination and the words, traditions and systems of men. The WORD will never truly make sense to you, if you follow the precepts of men, because all of the races of people, in no way, no how, came from one set of parents. There's nothing wrong with teaching the Truth, for it is written. Indoctrination replaces common sense and the natural order of things. It produces babel, or confusion. The Sixth Day creation of all the races were hunters and gatherers (Genesis 1:26). On the Eight Day, GOD saw that there was not a man to till the ground (Genesis 2:5), so He created Adam, the first farmer. Unto this day, the nations of true Adamic peoples are the largest producers of many crops. City folks are inclined to think that doctors and lawyers are the highest professional callings. I beg to differ. A farmer and a priest are the highest professional callings of GOD, because the LORD made Adam the first farmer and priest. At the end of the Sixth Day, GOD saw everything that He had made and it was very good (Genesis 1:31). There is no racism in Christianity. Racism is from the cup of devils, an ideology of satan. If you've been taught error for most of your life in church, you're malnourished, but it doesn't mean you're not a Christian. Feeling discomfort or cognitive dissonance is due to the unstableness in your mind from the doctrines of devils. Swallow your pride, experience humility, and come into the Kingdom of GOD as a little child, for a child's mind is open, an indoctrinated mind is closed. Get into the meat of the Word. There were only two ways to thwart Christ's birth on Earth in the flesh. The first was to pollute the seedline from which the Messiah would be born. The second was try to kill Him as a infant, in the flesh, before the Savior could even walk or talk. Infancy is the most vulnerable state for any human being. Both of satan's plans failed, but a false lion (Cain), or tare, was left standing, plucked and booted out of Eden, to fulfill the negative part of GOD's plan. The Messiah's seedline would remain pure and over many generations, from umbilical cord to umbilical cord, and mother to child, Jesus Christ's birth came through mother Eve's daughter, the virgin Mary. Isaiah 49:1 "Listen, O maritime countries, unto Me; and hearken, ye peoples, from far; The LORD hath called Me [the Messiah] from the womb; from the bowels of My mother hath He made mention of My name." Isaiah 49:2 "And He hath made My mouth like a sharp sword; in the shadow of His hand hath He hid Me, and made Me a pointed arrow; in His quiver hath He hid Me [thirty years at Nazareth];"
The Word became flesh and dwelt among us. His tongue is sharper than any two edged sword. Jesus was born in Bethlehem, meaning the "house of bread" (in Hebrew), or the "house of meat" (in Arabic). 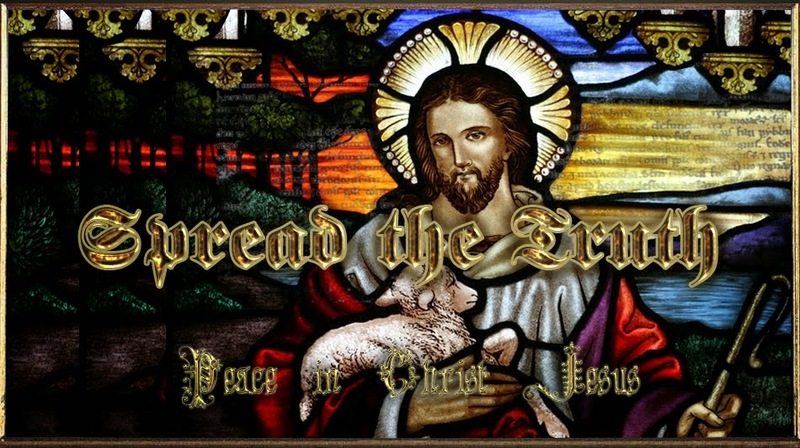 So the Bread of Life, Jesus CHRIST, was born in the House of Bread. You eat the Bread, the Word of GOD. ALMIGHTY GOD hid Christ until His adult Ministry began. Herod tried twice to kill the Prince of GOD. Herod first tried to deceive the wise men. He told them that he desired to know where the King was born, so that he could go and worship Him, which was a lie. But GOD warned the wise men in a dream that they should not return to Herod, but to go into their country another way (Matt 2:12). Then, the Angel of the LORD appeared unto Joseph in a dream to flee to Egypt. Matthew 2:13 "And when they were departed, behold, the angel of the LORD appeareth to Joseph in a dream, saying, Arise, and take the young Child and His mother, and flee into Egypt, and be thou there until I bring thee word: for Herod will seek the young Child to destroy Him." Matthew 2:14 "When he arose, he took the young Child and His mother by night, and departed into Egypt:"
Matthew 2:15 "And was there until the death of Herod: that it might be fulfilled which was spoken of the LORD by the prophet, saying, Out of Egypt have I called My Son." Matthew 2:16 "Then Herod, when he saw that he was mocked of the wise men, was exceeding wroth, and sent forth, and slew all the children that were in Bethlehem, and in all the coasts thereof, from two years old and under, according to the time which he had diligently enquired of the wise men." Herod, the king, was enraged that the wise men didn't bring word back to him. He ordered the killing of every male child, two years and under, in Bethlehem. Herod was a carnal king, not unlike a male lion killing off existing cubs after a pride takeover. No male lion remains king for long. The false lion of Judah (Cain), a liger of sorts, was birthed in the Garden of Eden, as a result of the sexual union between Eve and the serpent, that old dragon, satan. GOD made this all very clear, even in the Gospels, with Jesus and His disciples. Jesus chose two disciples named "Judas", one was his half-brother, Jude, and the other, Judas Iscariot. The names "Jude" and "Judas" are both from the word "Judas" (Ioudas - ee-oo-das'), from "yehudah", as in the tribe of Judah. Jude was a "wheat" and penned the Epistle of Jude, about the fallen angels, sodomites and Cain. The "tare" within the 12 disciples was Judas Iscariot. This betrayer of Jesus CHRIST was a kenite, meaning he was a child of Cain. Judas was also the treasurer for Jesus and His disciples. There are only two places in the Bible, both in the Book of Revelation (2:9, 3:9), which mention the very "synagogue of satan". CHRIST states that this council of conspirators claims to be from the tribe of Judah, but are not. And Judas was one of them, a false ioudaios (ee-oo-dah'-yos), or false jew. Yet, even Judas repented, and so can any kenite. Upon repentance to ALMIGHTY GOD and belief in Jesus CHRIST as LORD and Savior, a child of darkness becomes a child of light. Until then, their god is satan, a counterfeit, who runs this world system through his seedline, a secret cabal (from the word "cabala") that follows the tradition of the elders. The kenites are a secret group hidden within the tribe of Judah. Blaming all Judah is like saying all of America is evil, when you know very well there are many fine Christian Americans in the nation. Also, we wouldn't blame all of Jesus' disciples because of the works of one traitor. Jesus CHRIST is the true Lion of Judah, the Root of David, and the Living WORD. Jesus CHRIST is KING of kings and LORD of lords. The false lion king is satan and his child, the false liger of judah, was birthed as a result of the real sin in the Garden of Eden. Cain's descendants, false ioudaios are still around this day. count = G5585. psēphizō (psay-fid'-zo) - From G5586; to use pebbles in enumeration, that is, (genitive case) to compute: - count. G5586 = psēphos (psay'-fos) - From the same as G5584; a pebble (as worn smooth by handling), that is, (by implication of use as a counter or ballot) a verdict (of acquittal) or ticket (of admission); a vote: - stone, voice. A scribe is often known as someone who makes written copies of manuscripts. The word "scribe" in Hebrew is "sâphar", which means to "score with a mark as a tally or record; by implication, to inscribe; to enumerate; to count or number". The word "count" in Rev 13:18 is "psēphizō", meaning to "use pebbles in enumeration, to compute or count", and comes from the root word "psephos", meaning "a pebble (as worn smooth by handling), that is, (by implication of use as a counter or ballot) a verdict (of acquittal) or ticket (of admission); a vote: - stone, voice." The history of satan's seedline, in GOD's WORD, has been worn smooth by the hands of men and their traditions. You must count, or trace, the kenites through the Scriptures to arrive at the number of the beast, 666.